Saturday Night is PPV Nite…. Seems each week I’m tweeting that I’m off to Aiea for a pay-per-view party. It’s become a Saturday ritual, especially during the UH football season. I meet up at Kel & Rob’s for either UH football or the UFC. 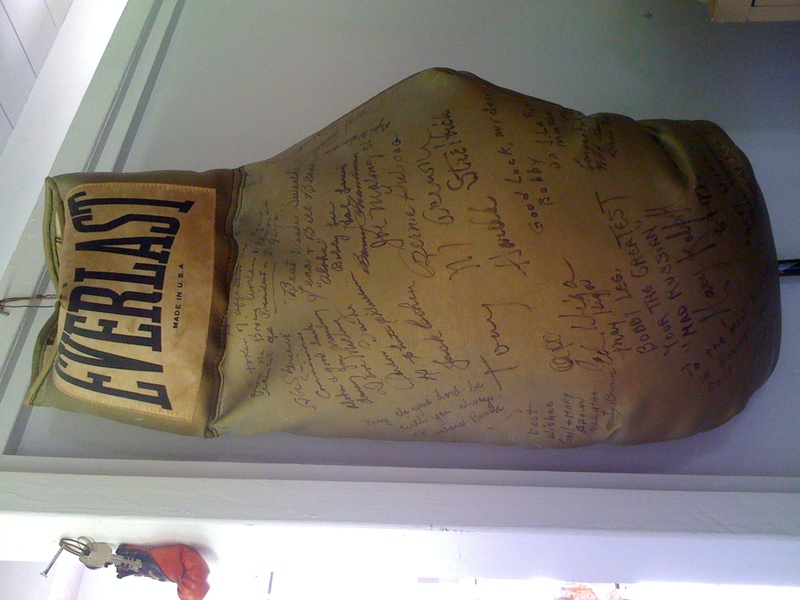 We hang out in a covered patio area that’s decorated with Kel’s grandpa’s boxing memorabilia. There’s always good food, good friends, and good times…. So What’s on Ur iPod?